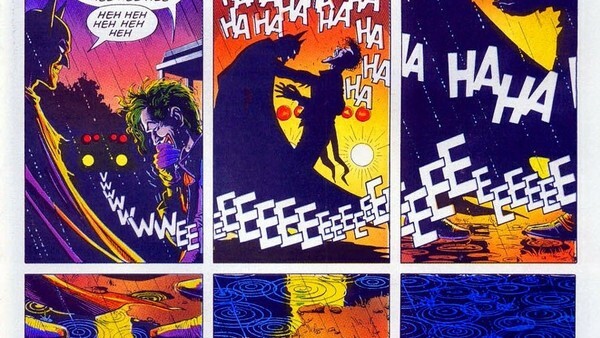 What Does The Final Image Of The Killing Joke REALLY Mean? "I've been thinking lately. About you and me..."
No Batman comic is able to boast a legacy as controversial as Alan Moore and Brian Bolland's The Killing Joke. Publicly derided by the former in recent years, the eighties' most divisive Bat-comic always seems to be in the spotlight in one way or another, whether it be because of the release of a new edition (FYI, yes, the original colouring is superior), a bungled animated adaptation, or rumours that it'll inspire a story in Warner Bros.' tempestuous DC Extended Universe. "Killing Joke’s good. And I kind of like Killing Joke’s… we talk about this, no one gets the end, because Batman kills the Joker… that’s why it’s called the Killing Joke. 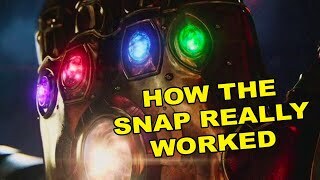 The Joker tells the killing joke at the end, Batman reaches out and breaks his neck and then the laughter stops, and then the light goes out, because that was the last chance of them crossing that bridge. Alan wrote the ultimate Batman Joker story, because he finished it… the laughter stops, it abruptly stops. It’s quite obvious." "Speaking of which, it's time I revealed what really happened at the end of The Killing Joke: as our protagonists stood there in the rain laughing at the final joke, the police lights reflecting in the pools of filthy water underfoot, the Batman's hand reached out and..."
There are two potential avenues to go with that tease: one, that Bats extends is hand out and cuffs the Joker for the GCPD prowlers speeding onto the scene; two, that he reaches out and, in some twisted moment of clarity, kills him. There's enough evidence in the comic to substantiate either claim, but in capturing the themes of the novel, which is the more authentic? At its core, The Killing Joke is a comic all about the cycle of violence that both characters - Joker and Batman - perpetuate in their own way. It's a conflict of escalation, and in that respect, The Killing Joke represents the only logical conclusion of the Clown Prince's seventies rebirth, where his violence manifests in the most abject way imaginable. Batman, at the start of the novel, is already aware of how this story ends, with either one of them (or both) dead - it's why he reaches out in a moment of desperation during the comic's opening.